In 1999, this scribe witnessed the first United States show of Evergrey, who flew over from Sweden based on internet message board fan support (pre-crowdfunding) with Perpetual Motion to play the Powermad Festival in Baltimore, Maryland. Their first album The Dark Discovery struck a chord right out of the gate – a sound that was still progressive metal with power and heavier in overall tone and atmosphere. They’ve built up a loyal following as more albums, tours, and festival appearances globally took place. In support of The Storm Within their tenth studio album, the band would make their first New England appearance in over five years – as the final date of a month long North American tour. Jewel Music Venue would set the scene for a long evening of entertainment as there would be three package openers beyond three local support acts – almost setting up as a mini-festival and community reunion with ProgPower attendees abound. New Hampshire progressive metal sextet Divine Regale would start the night off. Away from the scene for a solid couple of decades, five of the six members from their Metal Blade Records debut Ocean Mind return to tap into that charge you get from creating original material. Opening with an old favorite in “Underworld”, it was clear the group still present crisp melodic progressive metal with class, texture and grace. The sustained range of singer Dwight Hill and complementary harmonization from drummer Chris Anderson keeps the patrons engaged, beyond the musicianship and hooks contained in every song. Premiering four new tracks from their forthcoming Ghost in Every Room album, songs like “Miles Between Us” and “Moment” open the band’s playbook, at times heavier, other times serene, but making things their own. Considering the advancement and affinity for the genre now, may this rebirth pay bigger dividends for all involved. Boston power/symphonic-laden phenoms Seven Spires appear to be on a roll these days – ready to unleash a debut full-length Solveig this summer. Their 25-minute set got the crowd engaged, singing along, shouting, and fist pumping to current and future anthems like “The Cabaret of Dreams” and “Stay”. Drive and determination for their live performances illustrates why they are quickly moving up the ranks from New England to the world. Due to the later than anticipated start time, Boston-based folk / symphonic metal quartet Wilderun only got to play two songs – but considering they average out around nine-ten minutes a track, there’s plenty to digest. Even with a fill in drummer, they engulf aurally through a swirling, infectious style that can be blackened one minute, folk the next, catching you on multiple levels through clean/extreme singing, or majestic lead breaks. Based on the rapturous response when concluding, they made more than a few heads turn in their direction. Ascendia from Toronto, Canada are a quartet that hadn’t been aired by this scribe prior to hitting the stage. Immediately noticing the baritone-nature of vocalist Nick Sakal (think Falconer or ex-Candlemass Messiah Marcolin in spots) plus the propulsive stage presence of the four-piece, they would be the only band to pull out a cover for Dio’s “Holy Diver” – winning over many while puzzling a few others as Nick didn’t necessarily try to belt out the high parts, instead pushing the microphone to the crowd to sing along. Straddling power and progressive metal influences from North America and Europe, they are competent at their craft – it just didn’t strike me as anything unique, especially when honing individual songs in. Need from Greece hit the stage next – already familiar to many of the attendees even as an unsigned act, due to their impressive performance in 2014 at ProgPower USA. Fitting in line with a dark progressive metal motif, Jon V. as a vocalist has passionate presence – in the moment to take the feel of the crowd and magnificently channel things into this outer worldly energy. Ending their set with the 21-minute Hegaiamas title cut that also got members of Seven Kingdoms up on stage for the final chorus, it’s clear that their Fates Warning meets Evergrey on a Pain of Salvation side trip connects to this crowd. Hopefully this tour aided their cause for stronger interest at a label and touring level. Seven Kingdoms from Florida were up next. Beyond their impressive merchandise display (multiple t-shirts with multiple color options, colored splatter vinyl editions of recordings with gatefold sleeves, posters, etc. ), their straight-ahead power sound kept the pedal to the metal, in an early 90’s Blind Guardian meets Iced Earth manner. With four albums to choose from, the set list concentrated on the newest effort Decennium for “Kingslayer” and “The Tale of Deathface Ginny”, while peppering in classics like “The Bloody Meadow” and “Fragile Minds Collapse”. Guitarist Camden Cruz had American flag attire, and at one point in the set the band blew out the PA, setting things back briefly. You could feel the energy level rise due to their faster, double-bass oriented material, and as such went over well with attendees young and old. Extra time to get the monitors and PA back in order meant that Evergrey wouldn’t hit the stage until midnight. Fear set in that the previously discussed 1 am curfew would mean a less than normal headlining set for the audience – fortunately the band pulled through professionally and delivered a stellar full 90- minutes that captured the essence of why they are in the elite class of power/progressive metal. Blue lighting and fog accentuated the mood of the music on display – heavy and resolute, graceful and tender, as Tom Englund’s soulful range captures the words in his own resplendent fashion. Mugging for the cell phones capturing favorite photos as they played, all five members feel at home with the songwriting – quietly calling for audience interaction but often the cues of the passage on display do the work ahead of time. A lion’s share of the set contained favorites from Hymns for the Broken and The Storm Within – including “Distance”, the driving “Passing Through”, “In Orbit” (sans Floor, Tom joking that ‘she couldn’t make it and had to leave because of the delay’), “Black Undertow”, and “The Grand Collapse”. Midway through various patrons would shout out older favorites that they hoped to hear, but Tom admitted that having to travel light for the tour meant different guitars with alternate tuning extinguished hopes for most early album offerings, outside of a keyboard-led rendition of “Words Mean Nothing” from Solitude Dominance Tragedy to start the four-song encore. That would be fine, as “Recreation Day”, “A Touch of Blessing”, and “Broken Wings” kept even the weariest of people smiling, clapping, and singing along. 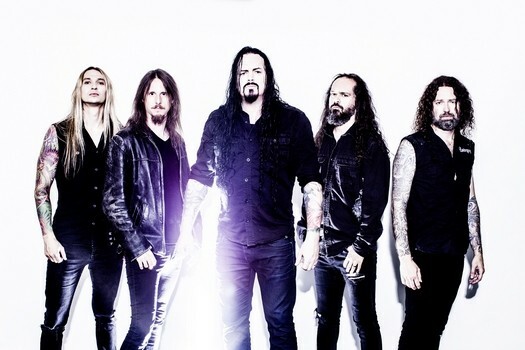 Emotive solos from guitarist Henrik Danhage and Tom, solid bass ethics from Johan Niemann, orchestral swirls and piano flavoring from Rikard Zander, beyond the progressive groove and sensible fills of drummer Jonas Ekdahl – the total package of Evergrey today fired off a tour for the ages. 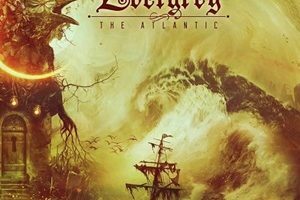 Hard to believe that a few short years ago, this band almost ended – we should be thankful that Evergrey continues to strive forward with grace and class. Kudos also to the husband and wife team of William and Lisa Richards from Metal New England for taking on this tour and bringing this to a scene that deserves to hear the best in melodic, power, progressive metal oriented music.